Our winemaking philosophy and strategy is based on minimal intervention, relying on the health and balanced growth of the vines to guide the process. Grapes are gently harvested by hand, fermentations proceed naturally without the addition of commercial yeasts. 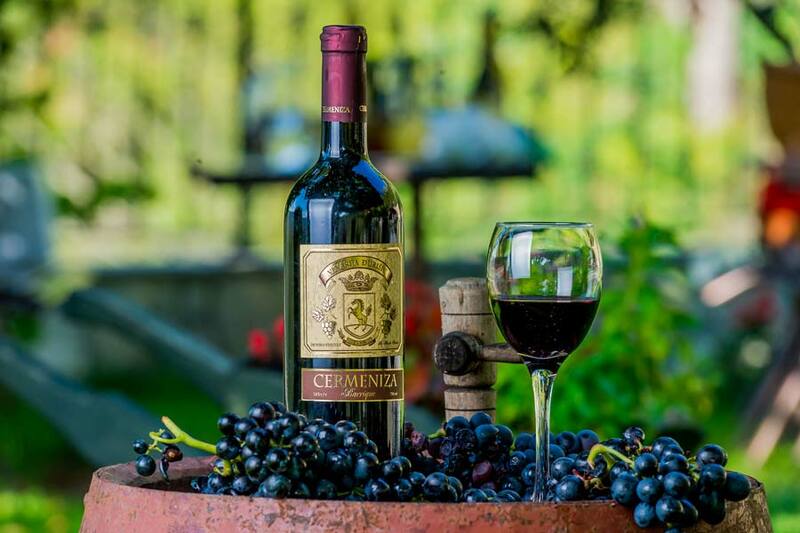 Nestled on the top of the hill, in the heart of the most famous wine region in Montenegro, Crmnica, lies family owned, 5.000 square meters vineyards. On a tour through centuries-old vineyards, the oldest member of our family – the grandfather, will share with you his knowledge about our finest wines. 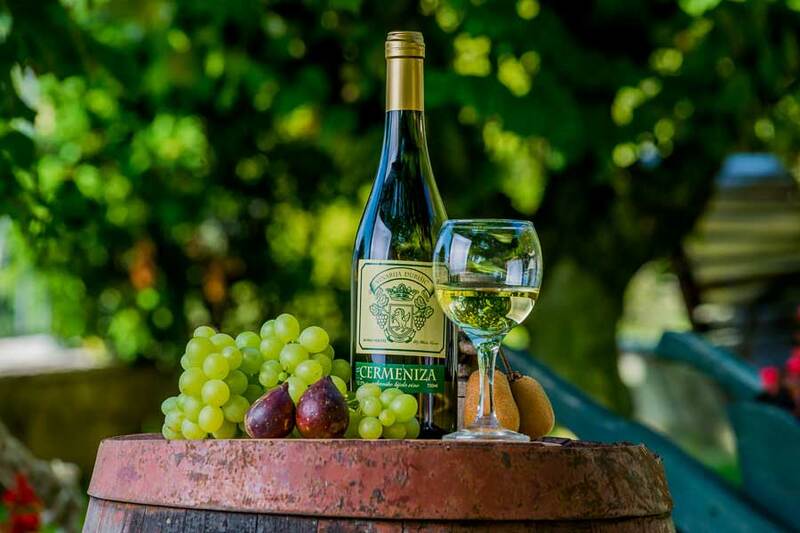 You will feel the atmosphere, the culture and the spirit of the long tradition in the exquisite wine production. Visiting our wine cellar, you will get the possibility to explore our family’s culture of grape growing and wine making, old almost 400 years. When properly stored, wines not only maintain their quality but many actually improve in aroma, flavour and complexity, as they mature. Depending of their level of sugar and alcohol, wines are more or less sensitive to temperature variances. The combination of stone and wood gives our wine cellar the best conditions for keeping the wine at its optimal temperature. 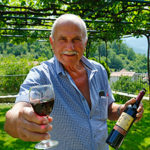 Rocky well drained earth, particular species Vranac – black stallion, grown only in this area, sunny afternoons moderated by cooling breath of wind and long history of wine making, has resulted in a superior grapes that we can be proud of. With so much enthusiasm and happiness we are proud to welcome you and share with you the quality and romance of our most distinguished wines. Vranac is an ancient Montenegrin variety and its real origin has been hidden deeply in the history. It had been grown since the 14th century in the valley of Lake Skadar. Its intense ruby colour with the purple hues. On nose and taste it reminds of ripe sour cherries, dark forest fruit and prunes with sweet, spicy tones, leaving good mouthfeel and warmth in the aftertaste. It is full on taste, rich with alcohol and extract. It has balanced acids and extraordinary tannic structure, giving it the possibility of longer laying down and aging. After fermentation in stainless steel vats, it aged for one year in oak barrels in strictly controlled conditions. A hard, alcoholic drink with over 47% vol% alc, very potable, harmonious, mildly developed, made from the grape varieties Vranac and Kratošija. 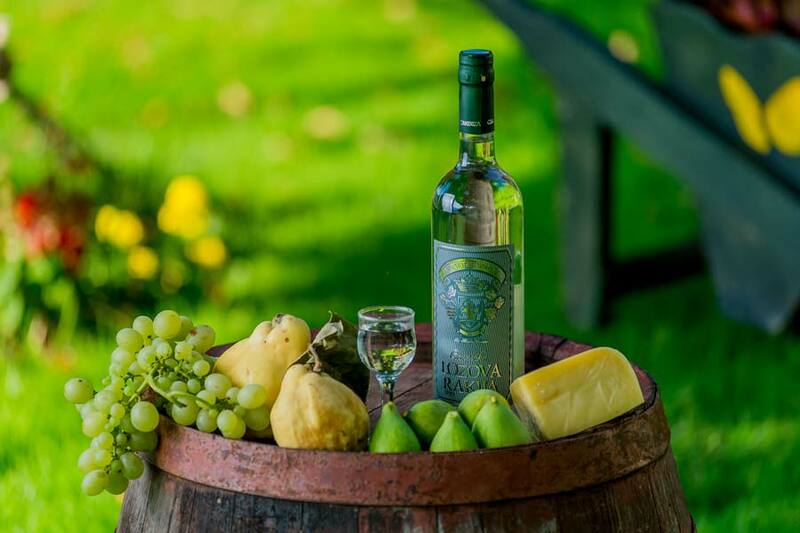 It is an autochthonous Montenegrin product, classified as a natural brandy. It is made by the distillation of the whole crushed grapes. It is recommended as an aperitif or a digestive, cooled at 4-6°C. If it is served as an aperitif, it is usually served with salted sticks, salted crackers and salted, roasted almonds and peanuts. If it is served as a digestive, it is the best with dried figs and walnuts. 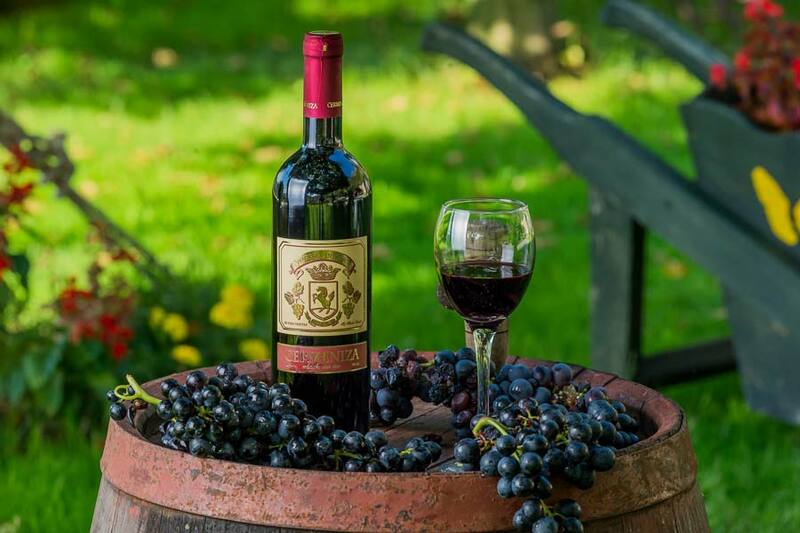 The grapes for this wine originates from the best parcels of our property. It was picked in the period of full, technological ripeness with the best polyphenolic complex and high sugar content. It has strong structure, and by laying down in oak barrels, it becomes enriched with nice, sweet tannins. The wine is rounded, full-bodied, soft and long lasting. In this wine you will feel the mild notes of toasted oak and aromas of caramel and smoke in the finish. After fermentation in stainless steel vats, it aged for one year in barriques in strictly controlled conditions. Krstač is the autochtonous Montenegrin white grape variety. It has a characteristic berry size and form of the cluster, resembling a cross, after which it got its name. It is of a particularly selected grapes that the authentic white wine of extraordinary freshness has been made.This wine is on the edge between Mediterranean and continental type. It is light golden yellow color with greenish reflection. Light, potable, crisp and balanced wine with the characteristic varietal flavors of peach and pear. Served cold, Cermeniza Krstač represents the ideal aperitif.